I made these chocolate cupcakes with chocolate buttercream frosting the same weekend I made last week’s cupcakes. And while the cupcake itself was good, I think it was the frosting that made them my second favourite. 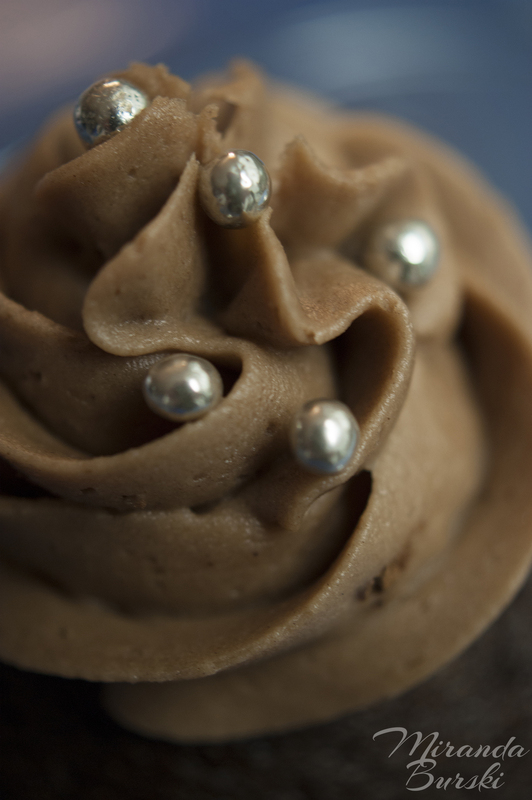 It was creamy, sweet, and chocolaty–everything you want on top of a chocolate cupcake. It was easy to make, too. Just start with your favourite buttercream frosting recipe (I used the same one as last week), then add in a couple of tablespoons of unsweetened cocoa powder. Adjust that cocoa powder as needed, until you get the taste you want. All you have to do after that is resist the urge to dive in with a spoon.